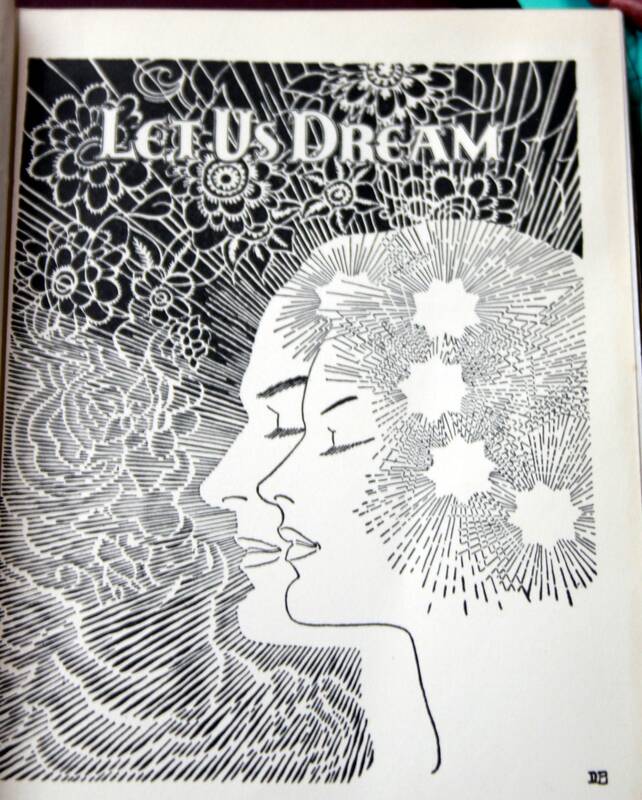 Let Us Dream - Don Blanding Let Us Dream ia an illustrated book of poetry by California Pottery Artist Don Blanding. 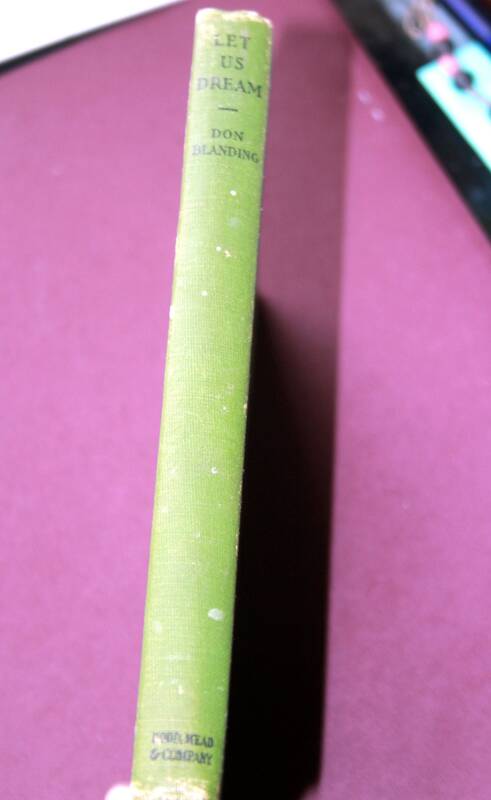 It is a hardcover book with some color damage on the front cover and no dust cover. The spine and pages are all in good shape. 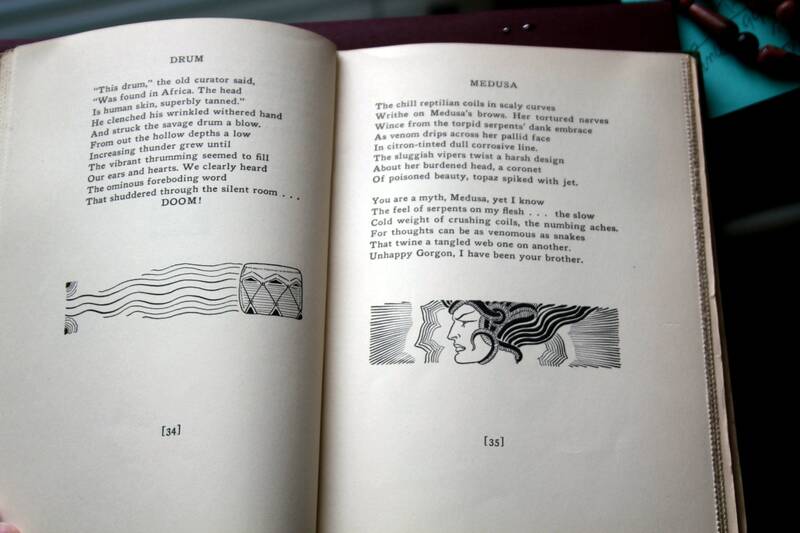 This Dodd Mead Company book is 120 pages of art and poetry all by Don Blanding. 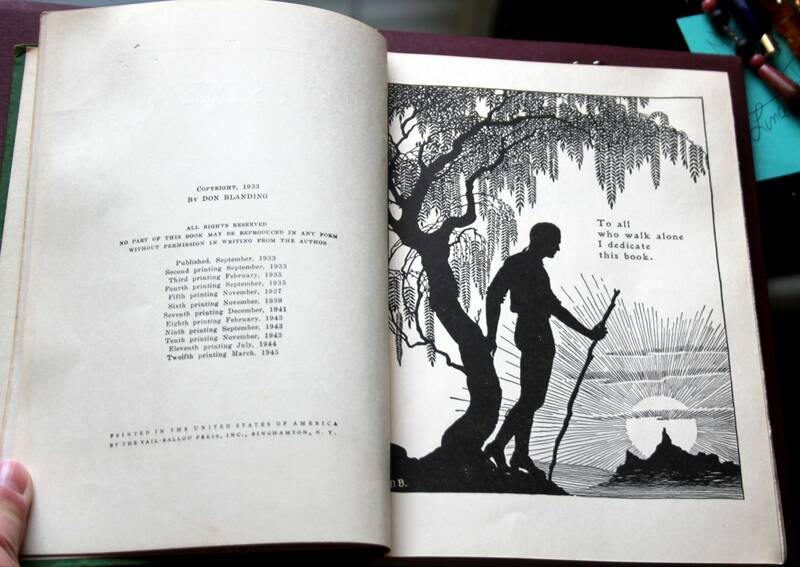 This hardcover book is about 5 3/8 inches x 8 inches size and all illustrations are black and white-no color. 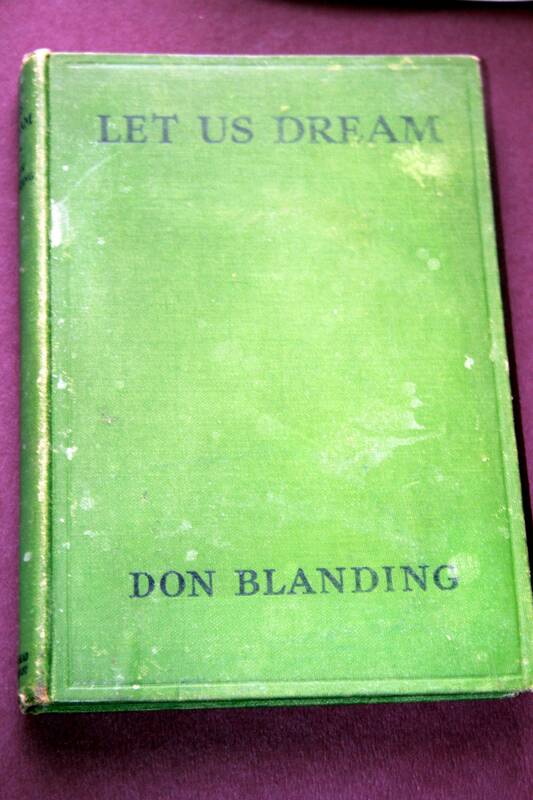 This book is the twelfth printing of the 1933 copyright, and this was done in 1945. 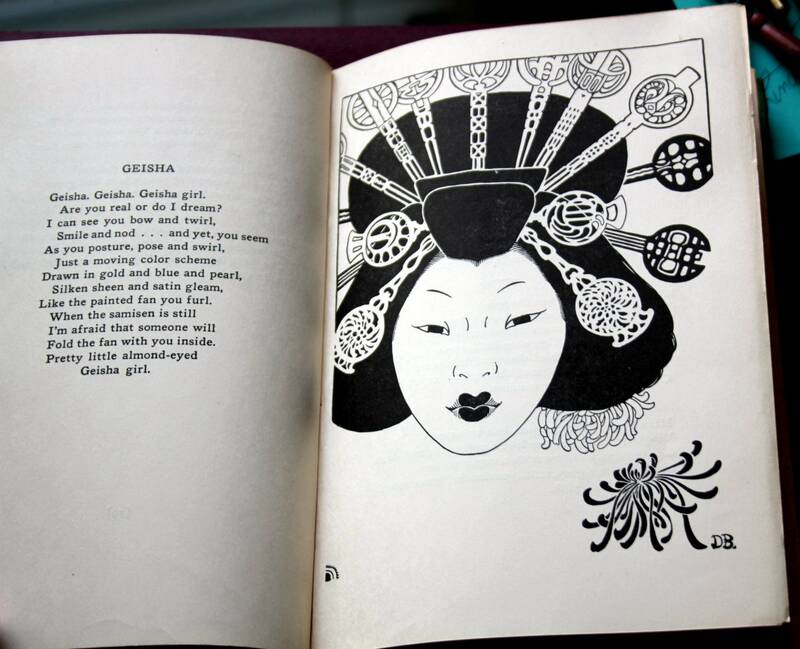 It is poetry is illustrated with art nouveau style line drawings done by Don Blanding. It is a beautiful little book. The pages are yellowed. 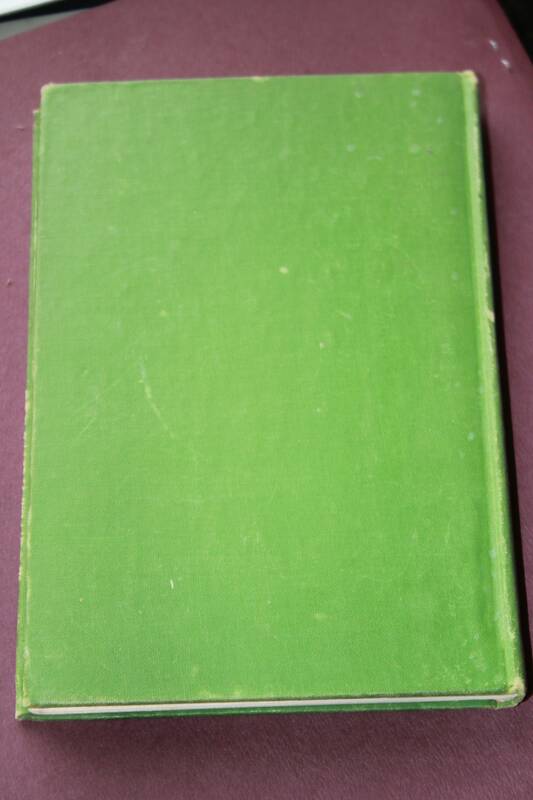 The book is a bright verdant green. 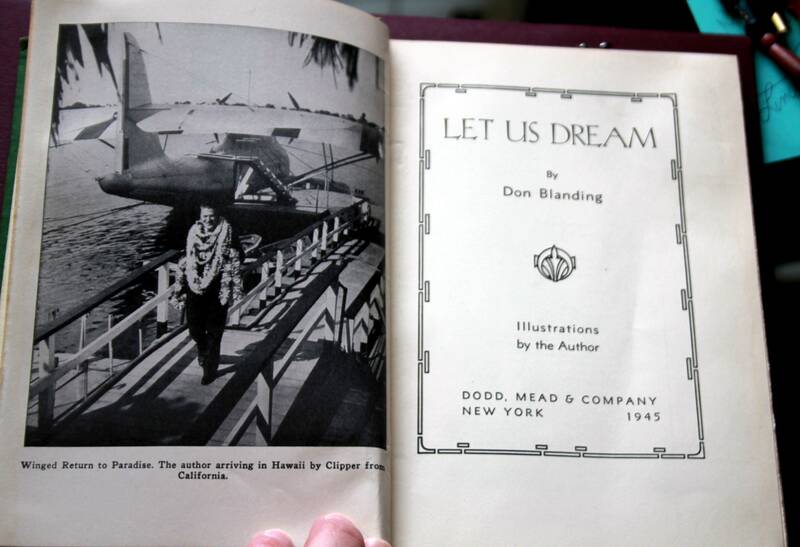 Don Blanding was an artist for Vernon Kilns and did many Hawaiian designs. Much of his work has themes from Hawaii, and this book is a compilation of some of his earlier works and some additions.